As a little girl, HSH Princess Cecile zu Hohenlohe-Langenburg would watch her mother, aunt and grandmother get ready for lavish royal balls at Langenburg Castle in Baden-WÃ¼rttemberg, Germany. They would always accessorize with the family jewels: pieces that had been in the family for generations. But it wasn't so much the jewels themselves as an old jewelry box that inspired the princess' first collection of fine jewelry. 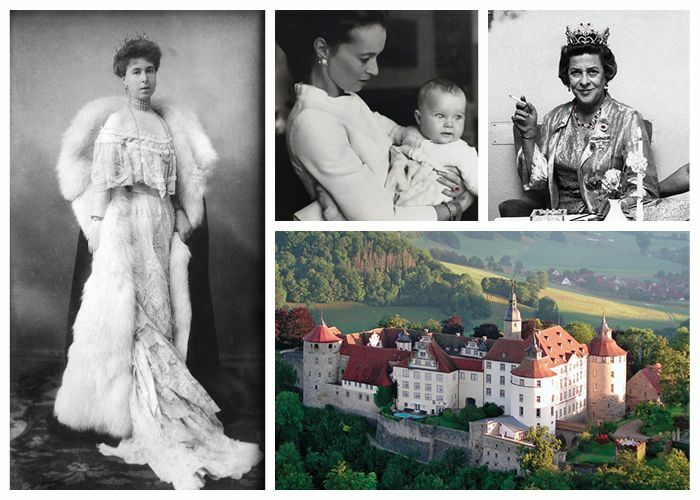 (clockwise from right): Cecile's great-grandmother Princess Alexandra of Saxe-Coburg; Princess Charlotte of Croy wearing her engagement ring with baby Cecile; Cecile's grandmother Princess Margarita of Greece wearing the family's original jewels; Langenburg Castle where Cecile grew up and now has her studio. In 1896 Cecile's great-grandmother, Princess Alexandra of Saxe-Coburg, got married to Prince Ernst, of Hohenlohe-Langenburg. As a granddaughter of both Queen Victoria of England and Tsar Alexander II of Russia, Alexandra was one of the most eligible bachelorettes of the day. She had three beautiful sisters who also married well: one to the Grand Duke of Hesse, one to an Infante of Spain and one to the eventual King of Romania. Their mother, the Duchess of Edinburgh and the only daughter of the Tsar, was famous for her incredible collection of jewels, and when Alexandra was married, her mother gave her a priceless parure of rubies, diamonds and a lotus-shaped tiara, which were stored in an amazing giant wooden jewelry box with velvet trays. Over the years various pieces were sold to support Russian cousins escaping the Bolshevik revolution. Later a terrible fire at Langenburg in 1963 would destroy what was left of the jewels. The only piece left from the Duchess' legendary set of jewels was the ruby ring Cecile's father, Prince Kraft of Hohenlohe, gave to her mother, Princess Charlotte of Croy, as an engagement ring. One day when Cecile was a young girl she was wandering through the attic and found the jewelry box. "I opened it and saw the jewelry imprints [in the velvet]. I knew that there was nothing left in there, but the imprints made me dream of what these pieces could or would have been." 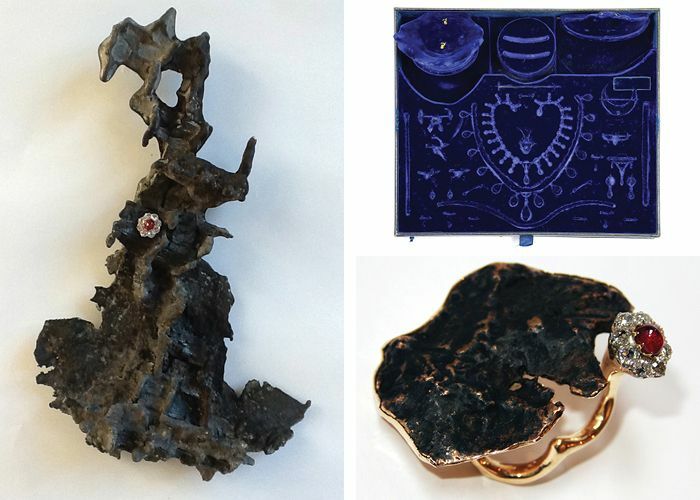 (clockwise from top right): A velvet tray from Princess Alexandra's jewelry box; the Lotus Ring; the molten metal discovered after the fire. She first began making jewelry at boarding school with a goldsmith from a nearby village. "I enjoyed being able to use my hands to produce something of that nature," says Cecile. She studied sculpture, stage design and prop making at university in London but says she "continued making all of these little objects." Over the years she worked on product development for friends like designer Tom Dixon and started her own design consulting business. Then about a year and a half ago she rediscovered the jewelry box in the attic. "It rekindled something, like when you meander on different paths and then something happens that brings you back to something essential in you. It is something you know you must follow. And that's how it began." 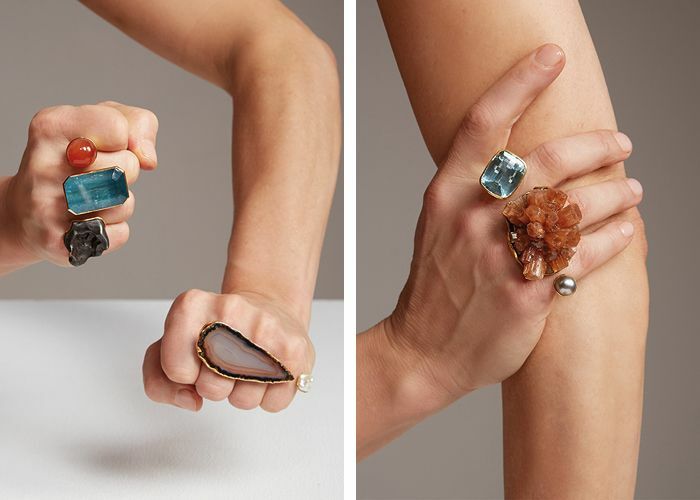 Inspired by the Buddhist quote, "In the gap between thoughts, concept-free wisdom continuously shines forth," Cecile's rings, made from precious and semi-precious stones found on her travels, took the form of wearable sculpture with the stones seeming to float above the hand in the space between the fingers. This past December they made their New York debut in a show hosted by design entrepreneur Murray Moss called In the Space Between. As she designed her collection, her mother's engagement ring, the only piece from the original suite of jewels to survive, sat on her desk in her studio. It had always had tremendous sentimental value, but it wasn't the kind of thing she would normally wear. 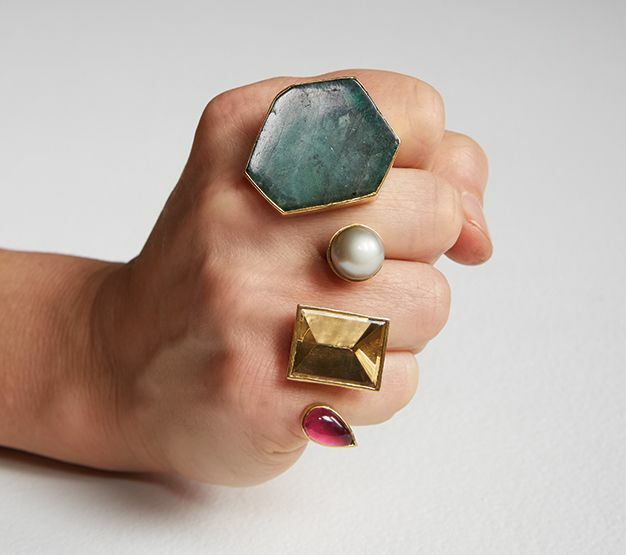 "I tried setting this ring with so many different stones, and it wasn't right," recalls Cecile. Then she paired the ruby and diamonds with a sawed-off chunk of molten metal that was found after the fire in the castle. "Maybe it was an old bronze, a lovely old Bernini," she laughs. "Who knows?" But it worked. The Lotus Ring, as it is now called, is her most personal piece and the one that best reflects Cecile's identity as an artist. "The ring became the symbol in my own sort of way of the phoenix rising out of the flames, which oddly enough is our family crest."